The Ledbury is the kind of restaurant that I like to visit at least one or twice a year to see what they are up to. My last visit to Brett Graham's restaurant had been in January 2013, so a revisit was long overdue. A few things things have changed since my last visit. The restaurant has taken James Petrie on board as head of development and Darren McHugh as restaurant manager. James Petrie (aka Jocky) is the former long-time (11 years) pastry chef and head of creative development at Heston Blumenthal's The Fat Duck in Bray; Darren McHugh used to be assistant restaurant manager at Marcus Wareing at the Berkeley. The a la carte menu has changed too. The Ledbury now offers an a la carte menu, which is divided into first, second, third and fourth (desserts) courses and is priced at £80. Previously the a la carte menu was £80 for 3 courses. The Ledbury now holds the number ten spot in San Pellegrino's World's 50 Best Restaurant list (from number 13 in 2013). 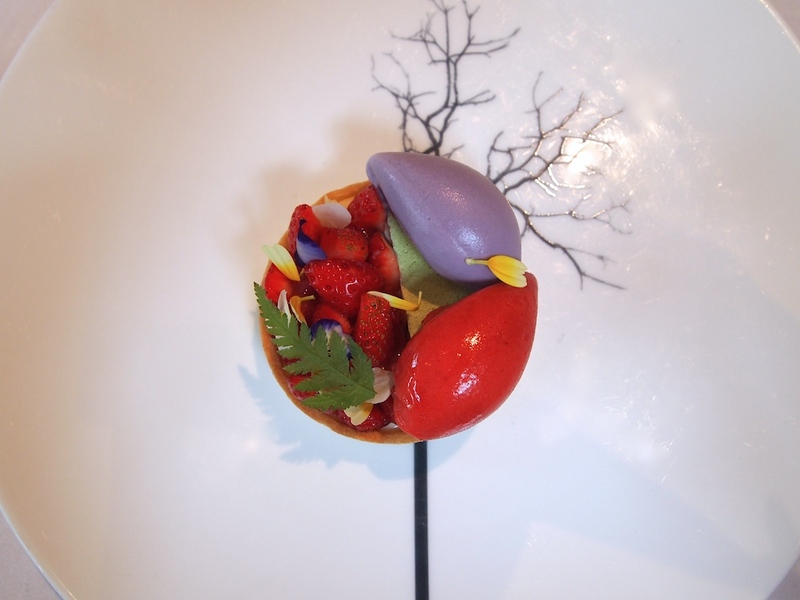 I had lunch at The Ledbury on Thursday 26 June 2014 and I ordered 4 dishes from the a la carte menu. It was once again an exemplary 2-star meal and taking on James Petrie is already paying off. In my last review I noted that the desserts "could perhaps do with a little more complexity and attention" and Jocky has done just that. In fact the dessert was the highlight of my meal.